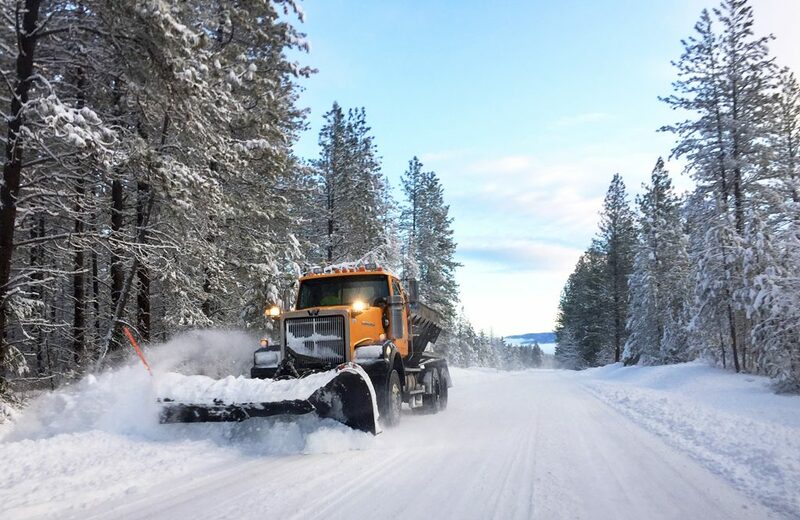 With the snowfall overnight in the Chewelah area and daytime temperatures near 40 the next few days, the roads are going to turn very slushy. Overnight, temps will drop into the upper 20’s causing the slush to freeze and the potential for black ice. Be careful and always allow extra time to travel. Stocks are lower in early afternoon trading on Wall Street Wednesday after giving up an early gain. Energy companies are down as the price of crude oil falls for the third time in four days after a strong start to 2019. Drug and infant formula maker Abbott Laboratories is leading health care stocks lower after its sales fell short of Wall Street’s estimates. Click here for the full story. More people took off from Spokane International Airport in 2018 than ever before, according to airport officials, who reported a 12.6 percent increase in passenger activity from the previous year and a total of nearly 4 million travelers. Click here for the full story. Alaska Airlines says it will delay the start of commercial passenger service at Paine Field in Everett, Washington, by at least three weeks due to the ongoing partial shutdown of the federal government. Alaska and United Airlines plan a combined 24 daily flights at a new passenger terminal at the airport, but they are awaiting Federal Aviation Administration approval. The officials who must sign off on a final environmental assessment are on furlough. Click here for the full story. Starbucks is expanding its delivery service and aims to offer it at nearly one-fourth of its U.S. company-operated coffee shops. The company said it is launching the service Tuesday in San Francisco and will expand to some stores in New York, Boston, Washington, Chicago and Los Angeles in coming weeks. It tested the idea in 200 Miami stores last fall. Click here for full story.